We stretch out a warm welcome to our 36th World Congress on Pediatric & Neonatal Nursing to be held from September 16-17, 2019, Tokyo, Japan. WCPNN 2019 aims to gather leading educational scientists, researchers and research students to exchange & share their experiences and research results about all aspects of Pediatrics & Neonatal Nursing. We invite all the Pediatricians, Neonatologists, Pediatric Surgeons, Nursing practitioners, Pediatric Urologists, researchers, Professors, Associate Professors in the field of, Pediatric, Neonatal Nursing, Nephrology, Gastroenterology, Endocrinology, Child Abuse, Diabetes, Pediatric Cardiology people who believe in Medicines to explore their research, case studies and practitioners of Pediatric medicine at WCPNN 2019 in Tokyo, Japan. 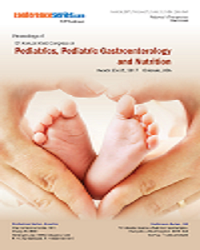 The conference proceedings include symposiums and workshops, keynote speeches, plenary talks, poster sessions and panel discussion on latest research developments in the field of Pediatric and Neonatal Nursing. 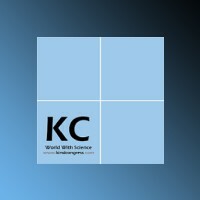 This universal meet suspects many representatives including worldwide keynote addresses and oral presentations by eminent speakers and notice presentations by understudies, Medicinal Practices Exhibitions and delegates all around the globe which will make a stage for worldwide development of sheltered and viable common treatments. 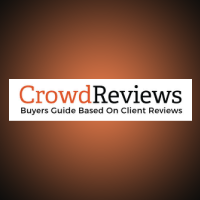 It gives global systems administration and chances to joint efforts with overall organizations and businesses. WCPNN 2019 main slogan is to address the challenges in making a safer, sustainable and affordable system for medication, and health through combining the underpinning Medicine Practices research platforms. WCPNN 2019 conference prepares a ground for seeding new concepts and nurturing knowledge through discussions and analysis on Pediatrics & Neonatal Nursing Practices developments. 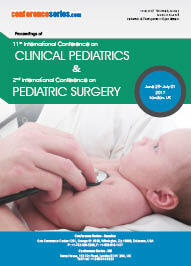 This conference mainly focuses on the latest and exciting revolutions in every area of Pediatrics Practices research, and it will offer a unique opportunity for investigators from all over the world to meet, network, and perceive new scientific interactions around the theme “Exploring Advancements & new Innovations in Pediatric Nursing Care". Conference Series Conferences organizes 1000+ International scientific events annually across the world, where knowledge transfer takes place through round table meetings, panel discussions, poster presentations, International workshops, International symposiums & world class exhibitions. It hosts presentations from eminent experts in the relevant fields. 36th World Congress on Pediatric & Neonatal Nursing to be held from September 16-17, 2019 at Tokyo, Japan is going to be the largest conference for Pediatrics & Neonatal Nursing world. 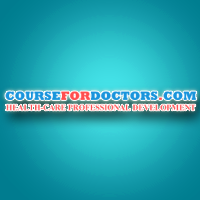 It provides a technical forum for learning about the latest and advanced research and development. 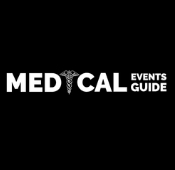 Events include hot topics like Pediatric Surgery, Nephrology, Urology, Child Abuse and Pediatric Diabetes practices & presentations from all over the world including professional networking with industries, leading working groups and panel. WCPNN 2019 anticipates many of delegates including international keynote lectures and oral presentations by renowned speakers and poster presentations by students, Herbal Exhibitions and delegates all around the world which will create a platform for global promotion of safe and effective remedies. 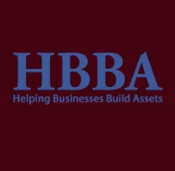 It provides networking and opportunities for partnerships with worldwide companies and industries. This global event will come out to be an excellent opportunity for the Pediatricians, Neonatologists and Nursing practitioners to encourage the profound administration of herbs as medicament and explore the best reports where ultimate results to justify curing and healing by various remedies to various ailments has been noted with evidence. Antibodies espouse a necessary part in keeping the adolescents solid while Immunization is the way toward receiving to be insusceptible to an illness. Immunizations should be imaginable in the beginning times of life to ensure adolescents earlier they exist to the sicknesses. Immunizations are a foundation of pediatric facilities. The route of inoculations is implemented for the expectancy of hazardous contaminations was a crucial driver of changes in baby and minority bleakness and mortality. Neonatal surgery comprises the surgical care of newborn infants / Neonates. Neonatal professionals are the ones who perform neonatal surgeries including chest, abdominal and myocardial flaws. Neonatal surgery encloses the treatment of infants in the early phases of life. Pediatric Nursing Research is the restorative care of neonates and youngsters up to adolescence, as an edict in an in-patient hospital or day-clinic. Neonatal nurses are registered nurses who have some proficiency in working with these youthful, vulnerable patients. Neonatal nursing is a branch of health care that mostly centers in giving care and support for new-born babies who were born precipitately, or suffering from health problems such as birth defects, diseases, or heart deformities. Several neonatal nurses work in Neonatal Intensive Care Unit (NICU), providing very particular medicinal care to in danger infants. Nutrition is the consumption of food according to the body’s dietary needs. Good nutrition means triumph the veracious aggregate of nutrients in the accurate combinations. Devouring nutrition acquaintance will help you to accomplish decent health over your lifetime. Deprived nutrition can lead to increased susceptibility to disease. Nutrition & Metabolism extends to a wide range of applications including nutritional needs, clinical and population studies as well as the underlying apparatuses. Pediatric nutrition is the maintenance of an appropriate well-symmetrical diet entailing of the indispensable nutrients and the capable caloric intake required to promote growth and sustain the physiologic requirements at the various stages of a child's development. Infant nutritional needs vary considerably with age, level of refreshment, and environmental circumstances and they are directly related to the rate of growth. During the infant stage the need for calories is greater than any postpartum stage due to hasty intensification in both elevation and heaviness. Pediatric Neurology also called Child Neurology deals complaints of Central Nervous System, marginal nerve and muscle affecting infants, children and teenagers. Problems are seizures, overdue speech, weakness or headaches. Child neurologists have the exceptional expertise in detecting and considering disorders of the nervous system (CNS, PNS) with an empathetic of medical ailments in juvenile and the superior prerequisites of the child. Cardiac Nursing could be a nurse United Nations agency specializes to figure with patients who are suffering from varied conditions of the upset. internal organ nurses help to treat conditions like unstable angina, myocardiopathy, arteria coronaria illness, symptom heart disease, myocardial infarct and internal organ dysrhythmia beneath the direction of a heart specialist. internal organ nursing conjointly performs operative care on a internal organ surgical unit, assay evaluations, internal organ observation, tube observation, and health assessments. internal organ nurses add many various environments, together with coronary care units (CCU), internal organ catheterization, medical aid units (ICU), operative theatres, internal organ rehabilitation centres, clinical analysis, internal organ surgery wards, vessel medical aid units (CVICU), and internal organ medical wards. Pediatric cancer is cancer in a youngster. Child cancer is due to gene flaws (called mutations) inbred from a parent. Subsistence rate for children's cancer has amplified but for many more rare childhood cancers, the persistence rate is ample fewer, the mortality rate was slightly more. A few environmental factors, such as radiation exposure is also accountable for certain categories of childhood cancers. Birth defects range from minor to Spartan, potentially poignant how body parts form and function and how the body customs food. While the cause may continue unidentified or due to circumstance sources, some problems are genetic (accepted down through genes). Supreme of the children are born vigorous with birth imperfection or any supplementary medical problems. But in some cases children are innate with variations in their brain development, obstruction of body, or body chemistry that can prime to problems through health, development their recital and shared communication. Pediatric immunology plays a prominent role in interpreting the cell and molecular mechanisms underlying the immune system and it has extremely intruded within the development of new diagnosis and treatment. A study of Immunological innovations has revealed that, respiratory panel polymerase chain reaction (PCR) challenging demonstrations pessimism in case of incidence of infection. This shows that immunological techniques of current senses are not widely available. Exploration designed for bronchiolitis and influenza is broadly accessible currently. While for human rhinovirus, adenovirus, Para influenza, and/or human Meta pneumovirus is not readily obtainable due to cost prohibitive. A rheumatic disease affects the joints, muscles and connective tissues. Some, like osteoarthritis, are the result of wear and tear. Others, such as rheumatoid arthritis, are immune system problems. Treatment plan will likely contain medications, regular exercise, a vigorous diet, stress management, and rest. Mutual Rheumatic complaints are Lyme disease, Systemic lupus Erythematous, Behcet's Disease, Polymyalgia Rheumatica, Rheumatic fever. Lupus erythematosus is a appellation given to a collection of autoimmune diseases in which the human immune system converts hyperactive and assaults normal, healthy tissues. Rheumatic fever is an inflammatory disease that can comprise the heart, joints, skin, and brain. Many rheumatic ailments are chronic circumstances. Diabetes is a chronic illness characterized by the body’s inability to produce insulin due to the autoimmune destruction of the beta cells in the pancreas. Most pediatric patients with diabetes have type 1 and a lifetime dependence on exogenous insulin. Diabetes requires an age-specific approach, taking into account the needs and characteristics related to specific developmental stages. Variable eating patterns and physical activity, along with the limited ability to communicate symptoms of hypoglycemia/hyperglycemia are the main challenges in very young children. Metformin and insulin are the only agents approved for the management of type 2 diabetes in adolescents. Therefore, when glycemic targets are not reached, insulin is the only additional approved therapeutic option. Child abuse or child maltreatment is physical, sexual, or psychological maltreatment or neglect of a child or children, especially by a parent or supplementary caregiver. Child abuse may include any act or failure to act by a parent or additional caregiver that consequences in actual or potential damage to a child, and can occur in a child's home, or in the organizations, schools or communities the child interacts with. Physical abuse often does not occur in isolation, but as part of a constellation of behaviors including authoritarian control, anxiety-provoking behavior, and a lack of parental warmth. Abuse is not just physical. Both words and actions can inflict deep, lasting wounds. Be a nurturing parent. Use your actions to show children and other adults that conflicts can be settled without hitting or yelling. Pediatric oncology is the research and treatment of cancers in children and young adults. Pediatric oncologists study and train in both pediatrics and oncology. The types of cancers that progress in children are often dissimilar from cancers that grow in adults. Because of this, pediatric oncologists specialize in treating infants, children, young adults and teenagers who have cancer. Childhood cancers can progress as the result of DNA changes in cells that occur early in life, even before birth. Some adult cancers are associated to environmental or lifestyle factors. Cancers that occur in children are very rarely related to any type of environmental or lifestyle factor. Pediatric immunology is a branch of pediatrics which deals with immunological or allergic disorders of children. Pediatric immunology plays major role in understanding the cellular and molecular mechanisms underlying the immune system and it has seriously complicated in the development of new diagnostic tests and treatment. There are many types of organs in our body which plays vital role in immunological functions. Some of the organs comprise thymus, bone marrow, spleen and tonsils. Neonatal nursing is a subspecialty of nursing that works with newborn infants born with a variety of problems ranging from prematurity, birth defects, infection, cardiac malformations, and surgical problems. The neonatal period is defined as the first month of life; however, these newborns are often sick for months. Neonatal nursing generally encompasses care for those infants who experience glitches shortly after birth, but it also comprehends care for infants who experience long-term problems related to their prematurity or illness after birth. A few neonatal nurses may care for infants up to about 2 years of age. Most neonatal nurses care for infants from the time of birth until they are discharged from the hospital. Clinical Nursing is boosted field, which means you could also become employed in education and leadership roles. 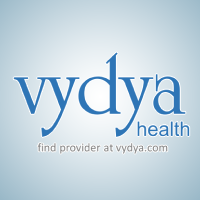 The work covers some regular areas including emergency care, pediatrics and geriatrics. There is a high market for clinical nurse specialists particularly, as they are so experienced in sophisticated technologies. The skills and techniques in clinical nursing are fundamental for better patient results, it includes certain basic to complex skills such as monitoring, time management, critical thinking at various situations, Judgment and Decision Building which is Considering the relative costs and benefits of potential activities to choose the most appropriate one. In this manner certain abilities and approaches are rehearsed and finished with a generally mind. 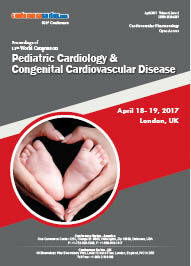 Pediatric cardiologists focus in conduct congenital or assimilated heart conditions in children and infants. Assessment and treatment may initiate with the fetus since heart glitches can even be perceived earlier birth. Cardiac catheterization is done in order to diagnose or delicacy the child's heart problem. Patients often prevailing with multifaceted diagnostic and medical hindrances seek the assessment of the pediatric cardiologist. They delicacy children’s illnesses devastating the least aggressive techniques as conceivable. Rudimentary accountabilities for a doctor of pediatric cardiology comprise conducting physical assessments, echocardiography, and electrocardiograms on children. They effort with other physicians and harbors in distinguishing heart and blood vessel peccadilloes and design the proper course of treatment. Pediatric nutrition is the safeguarding of an accurate well-symmetrical diet residing of the crucial nutrients and the accomplished caloric consumption obligatory to stimulate progression and sustain the physiologic chucks at the numerous phases of a child's development . 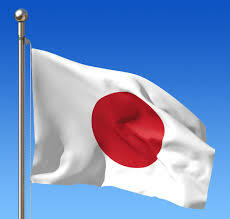 WCPNN 2019 invites participants, moderators, and exhibitors from everywhere throughout the world to Tokyo, Japan. We are pleased to welcome you all to our “World Congress on Pediatric and Neonatal Nursing (WCPNN 2019)" which will be held on March 1-2, 2019 in Tokyo, Japan. The organizing committee is preparing for an energizing and instructive meeting program including plenary lectures, symposia, workshops on a variety of topics, poster presentations and various programs for attendees from all over the world. We welcome you to go along with us at the WCPNN 2019, where you can have a momentous involvement with researchers from around the globe. All individuals from the WCPNN 2019 organizing committee anticipate your valuable presence in Tokyo, Japan. WCPNN 2019 conference will concentrate on the most recent and energizing advancements in every aspect of Pediatrics research which offers an exceptional open door for specialists across the globe to meet, organize, and see new logical developments. The current year's WCPNN 2019 features the subject, “Exploring Advancements & new Innovations in Pediatric Nursing Care" which mirrors the noteworthy advance in Pediatric Research. The two days meeting incorporates WCPNN 2019 care workshops, symposiums and extraordinary keynote sessions directed by famous and prestigious speakers who exceed expectations in the field of WCPNN 2019. This worldwide WCPNN 2019 additionally supports the dynamic interest of youthful understudies, forthcoming analysts and growing researchers as we are facilitating WCPNN 2019 Poster Award Competition and Young research Forum at the gathering venue. Everywhere throughout the world, guardians are ending up more cognizant about the strength of their youngsters. 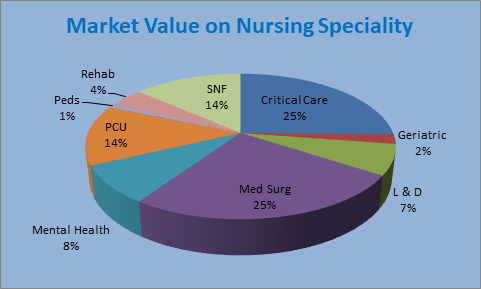 Subsequently, all-inclusive the nursing and pediatrics market is developing at a huge pace with organizations scrambling to get a critical share of the market. The Asian market is contributing altogether for the development of pediatrics market as more than 33% of the worldwide market is accounted by this area. Besides, various child healthcare initiatives and policies from International associations, for example, UNICEF and WHO has likewise been assuming a noteworthy part in adding to the development of nursing and pediatrics market. Neonatal and Pediatric medicinal services are managing the treatment of youngster related sicknesses, their improvement and care. Youngsters regularly experience the ill effects of respiratory, gastrointestinal and other ceaseless infection in light of lower resistance. The worldwide market for pediatrics and nursing is accounted to around $83 billion out of 2013 and anticipated that would develop at 7.8% CAGR in future. This report gives detail data about current situation of pediatric treatment and expected development in it. The market's critical ascent through 2019 can be credited to the business winding up more acquainted with outlining and actualizing trials in the neonatal and pediatric population. Pediatric Vaccine Market is projected to exceed US$ 48 Billion by the year 2024. Increasing government and non-government funding for the development of new vaccines, along with raising awareness about the benefits of vaccination, is certainly expected to positively drive the market growth in the coming years. In order to cut the healthcare expenses, governments have been making continuous efforts to reduce the cost of patient immunization through various vaccination programs funded by government or non-government health authorities. For example; several countries have included Children Vaccination Programs, which offers vaccines to children who lack health insurance or one who cannot afford the cost of vaccination. Nearly 650 Million Vaccines Doses will be administered in Neonatal and Pediatrics (Infants) by the year 2024. 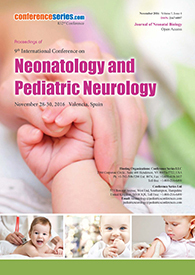 Conference Series llc Ltd Cordially welcomes you all working in the field of Pediatrics and neonatal nursing across the globe to take part in the Conference on WCPNN 2019, where all the current headway and inquiries about in the field of Pediatrics will be examined under a solitary rooftop. WCPNN 2019 will be an astounding amalgamation of the scholarly world and industry as it includes each parts of observational and applied speculation in investigating new measurements in this field. It is interested in a wide range of research procedures both from the scholarly community and industry. 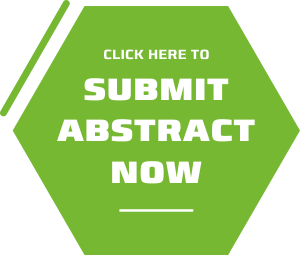 WCPNN 2019 is a global stage for exhibiting research about Nursing, Pediatrics and related themes, trading thoughts regarding it and in this manner, contributes in dispersal of information in administration of the infection for the advantage of the general public.